I hope that more folks become aware of the vital role that pollinators have on our food sources and plant accordingly. No doubt it has been a tumultuous few years in California, things seem to be changing so much out there. Hope you get some rain for your barrels soon! Thank you for sharing this valuable post on The Maple Hill Hop! Hi, thank you for the overview and information, I live in Ontario Canada and we are in the deep freeze, setting record cold temps this winter, only time will tell if my more tender plants will make it.. But I understand your post and agree with so much of it, when I was planning my garden, I told my hubby that we had NO idea what Climate change would bring, so we planted two zones colder, and up to one zone warmer as well as our own zone 5.. We also learned that the more I could plant that would give us the most choices the better we would be.. I found your post on the homestead bloggers, I hope to see you again. I always learn so much about gardening and our food system from your blog. I'm not a gardener but enjoy knowing more about ways in which we can protect these resources. Thanks for sharing! Great post! We have a couple of rain gardens, which will hopefully remain hearty and acclimate to the changing climate. Planted bee and butterfly friendly plants, so hopefully it will help! This year was definitely a warm winter here in Oregon. The cherry blossoms came a full month early and I was hoping to get my hostas divided before they got too big but I'm too late for this year. Thanks for linking up to the Tuesday Garden Party. @daisy g- Agreed. What is going on with our pollinators right now is so critical. We need to be planting for bees, using less pesticides and all around making better decisions to preserve their and ultimately our health. @farmgal - Thank you so much for stopping by. Someone who understands!!! :) I have done the same thing in planting. It might be warmer. Some years might be colder. I do think more variety is the key to hopefully be getting something from the garden. @sara - Thank you for visiting. @Lynn - Rain gardens! 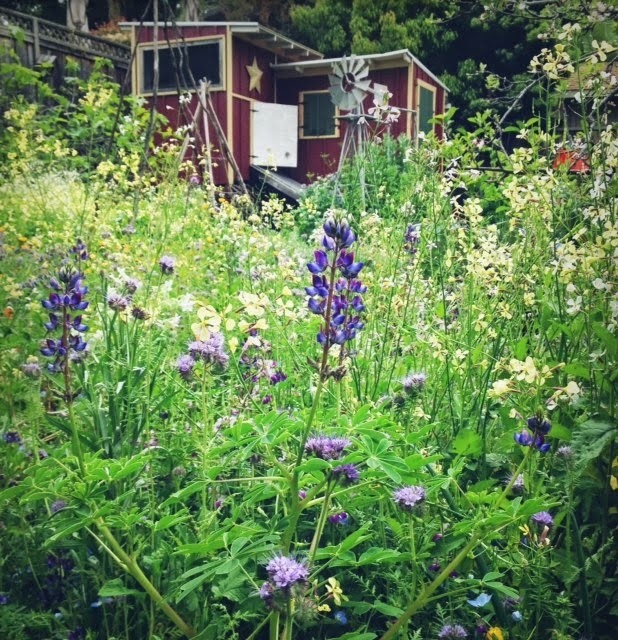 Bee and butterfly gardens! I want pictures. @Shelly - Don't you just hate that when you are all prepared to do a garden chore and suddenly it is too late. I had a friend wanting to move her dormant apple tree but, oops, too late! 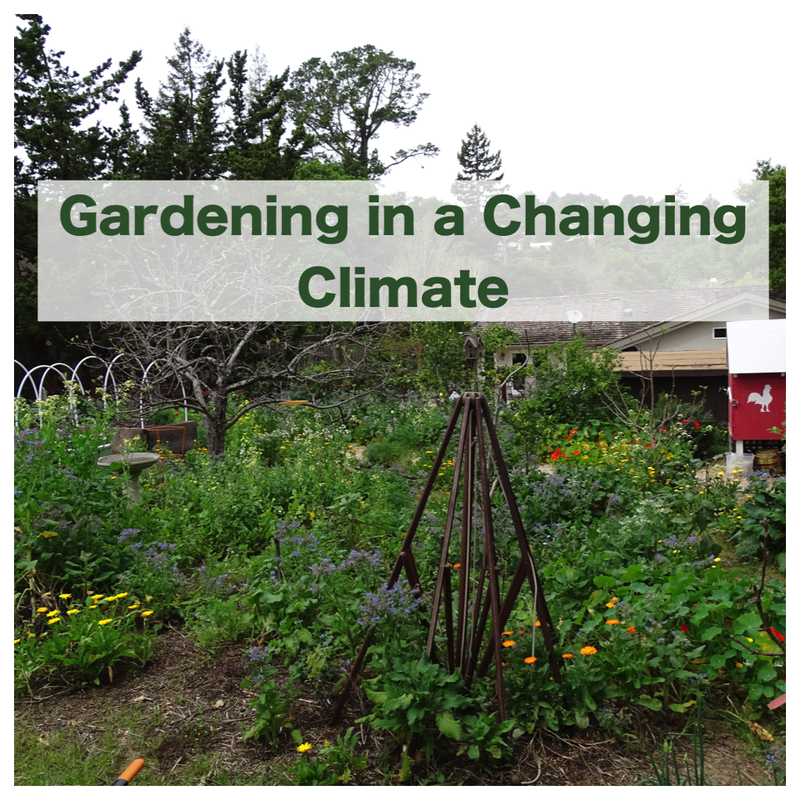 Very interesting take on gardening and climate change. In New England I haven't had to change much as of yet, although this year with our incredibly high snow fall I'm guessing the soil will be very wet. Also the cold temperatures are impacting when we can actually begin gardening outdoors. The drought in CA has been so challenging. Climate change is impacting all of us in many ways. So much great information! 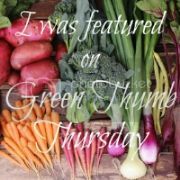 I really enjoyed this post....I've chosen it as the featured post at Green Thumb Thursday. Stop over and grab a featured button for your blog!